Effy Zoey Faye, simply known around Three Girls as Effy, very much enjoys her role as “Office Greeter” and 4-footed best friend to Erika, Three Girls’ CEO. With her own Instagram account, Effy dishes out great marketing advice in a series titled, “Effy Says…” Follow her on Instagram at @Effy_On_Business. 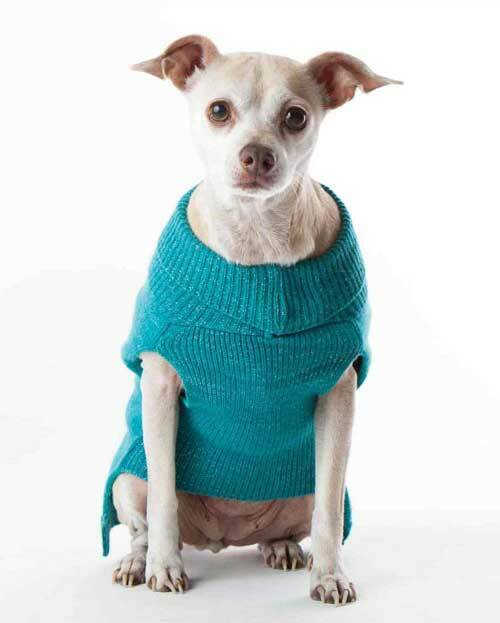 Effy is a Chihuahua Pug mix with a petite face, a curlicue of a tail and beautiful golden eyes, and adores wearing anything that keeps her warm. Erika found Effy at the Silicon Valley Humane Society; the shelter picked her up as a stray. She is very happy to be living with her forever family. Outside the office, Effy is a friendly dog that enjoys the simple things in life. Her daily schedule consists of long naps on Erika’s desk or on the back of her sofa and walks through Erika’s country property, Moose Hollow. She loves eating raw baby carrots, burrowing under the covers of the bed and playing with furry stuffed toys, especially her favorites – a chicken that clucks and cow that moos.